BURNLEY: Newcastle pulled further clear of the Premier League relegation zone with a third successive win and first at Turf Moor in over 40 years as they beat Burnley 2-1 on Monday. 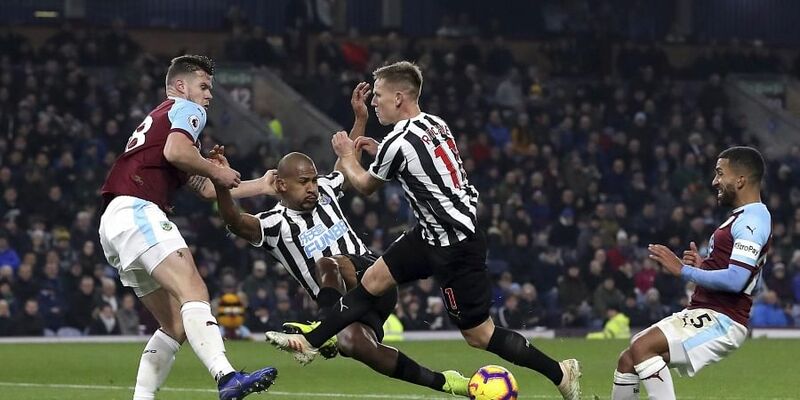 Federico Fernandez's fourth-minute shot, which took a huge deflection off Ben Mee, gave Rafael Benitez's Newcastle an early lead before the visitors doubled their lead through Ciaran Clark in the 23rd minute. Newcastle then squandered several chances to put the result beyond doubt after the break, with Matt Ritchie missing from close range while Joselu hit a post.